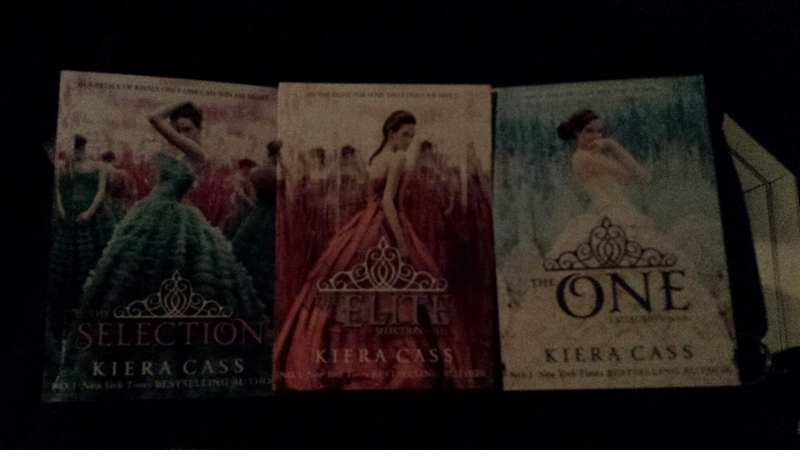 Look what I found!! 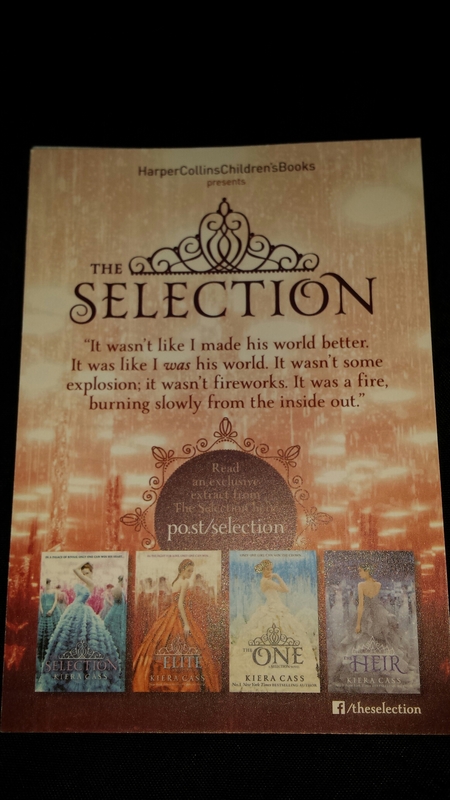 Free postcard type collection cards found at my local cinema while waiting to see Pitch Perfect 2. 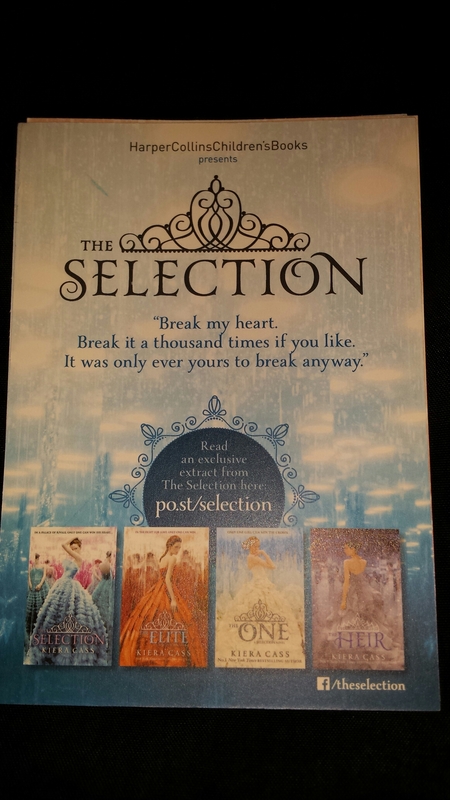 I haven’t yet read The Selection but I managed to aquire a copy in the early hours of this morning and the rest I believe I can loan from my local library. 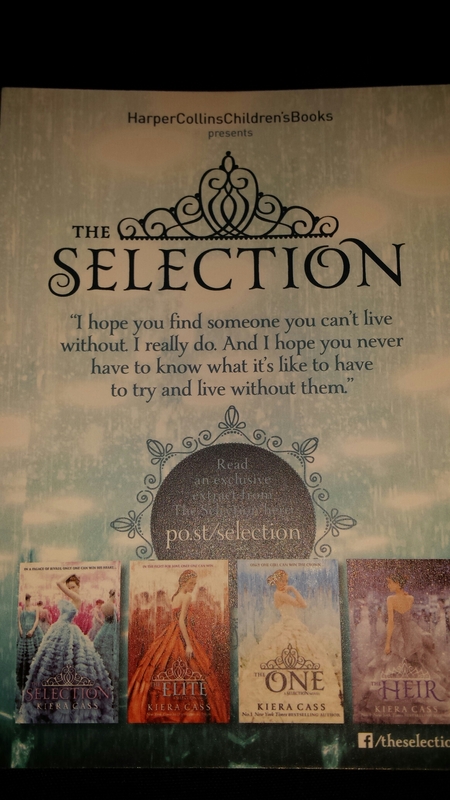 Each card has a quote from their respective books and they’re very nice quotes.